Alaska Dragon, a novel published by Fireweed Press in 1991, explores the relationship between the contemplative and activist life in the context of a story set in a fictional version of McCarthy, Alaska. The novel was the core of the author’s Union Institute doctoral dissertation. The doctoral dissertation also included a context essay and footnotes. See a review in the Anchorage Daily News. 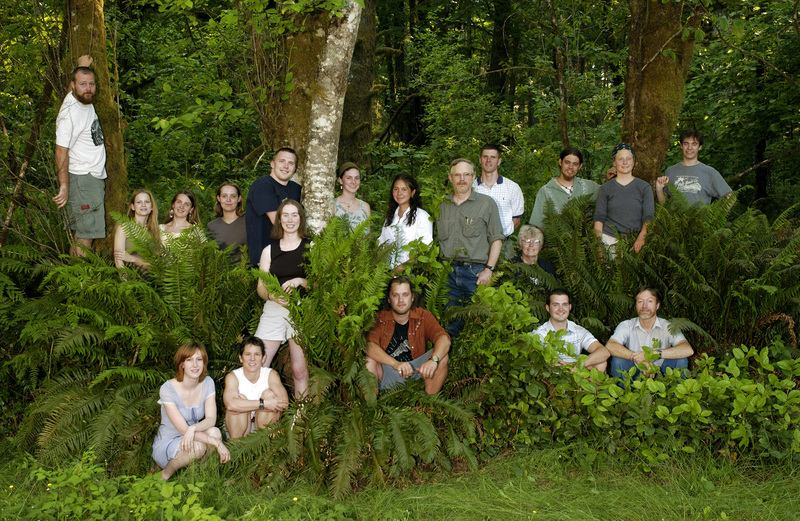 Students enrolled in an Evergreen State College program co-taught by Ted Whitesell and Ben Shaine are all co-authors of Defending Wild Washington: A Citizen’s Action Guide, edited by Ted and published by Mountaineers Press, 2004. Ben Shaine worked with students through the year of research, writing and editing of the manuscript and wrote Chapter 5, Entering the Political Wilderness. The National Park Service commissioned Community & Copper in a Wild Land to inform employees of tourism businesses and the public about the cultural and natural history of the McCarthy area of Wrangell-St. Elias National Park & Preserve. Published by the Wrangell Mountains Center in 2005. The Joint Federal-State Land Use Planning Commission contracted with Richard J. Gordon, Benjamin A. Shaine, and illustrator Ayse C. Gilbert, for Alaska Natural Landscapes (Commission Study 33, 1978) to inform its recommendations regarding proposals leading to the Alaska National Interest Lands Conservation Act of 1980. Interviewing a Rock: Visuals for presentation on the geologic story of the big conglomerate erratic boulder along the Glacier Trail north of Kennecott, Alaska, prepared for a talk at the Wrangell Mountains Center in McCarthy, August, 2011. Possible Lessons from Fort Worden National Historic Landmark & State Park for Planning and Management of Kennecott Mines National Historic Landmark, Wrangell-St. Elias National Preserve, Presentation to National Park Service workshop on interpretive planning for Kennecott, Alaska, June, 2011. Donoho Basin management issues and options analysis, prepared for Wrangell-St. Elias park superintendent, July, 2009. Comments on National Park Service draft Kennecott Action for Management, with design for a potential Kennecott area trail system, September, 2011. B.A. Shaine, The Wrangell Mountains Center’s College Field Program: Student-Faculty Groups Engage Alaska Wilderness Issues in Rugged Terrain, International Journal of Wilderness, 10:2, August, 2004, 39-42. These documents are not yet in final form. Comments appreciated. Roger Conner and Ben Shaine, “An Analytic Framework for Public Policy Advocates,” 8-21-12 draft. Roger Conner and Ben Shaine, “Building Blocks of Strategic Policy Advocacy.” 8-13-12 draft.